The impact is fantastic! The looks of awe and wonder, and that sense of discovery… you just see the children’s faces light up when they interact with the horses. They want to do it, they ask for more; it’s the first basic levels of communication. 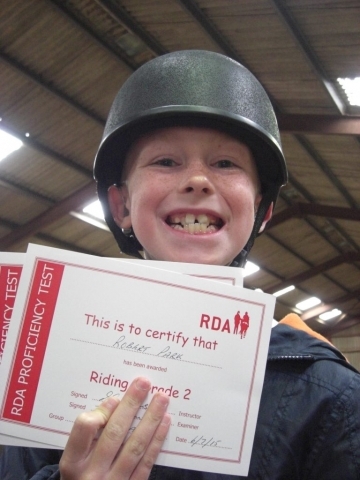 An increasing number of children and young people are benefiting from the learning opportunities made possible by RDA. Yet, there is still more to be done to help schools understand better how working with horses can achieve positive – and measurable – educational outcomes for their students. With schools often struggling with financial and staffing pressures, making a strong case for RDA as an effective provider of activities that support educational outcomes is vital, as Barbara Himsworth, member of the RDA Education Committee and a Special Education Needs (SEN) specialist, explains: “We have built many positive relationships with schools over the years, and understand they often have to justify cost in terms of pupil time, teacher release time, transport, and off-site visits. In reality, RDA delivers a wide range of activities and programmes that can support and enhance the curriculum and is flexible enough to meet the needs of different types of schools. The school has expanded over the past 10 years, and now has seven classes on the primary site, two primary classes on the secondary site, three secondary classes, two classes in post-16 – and a new nursery. 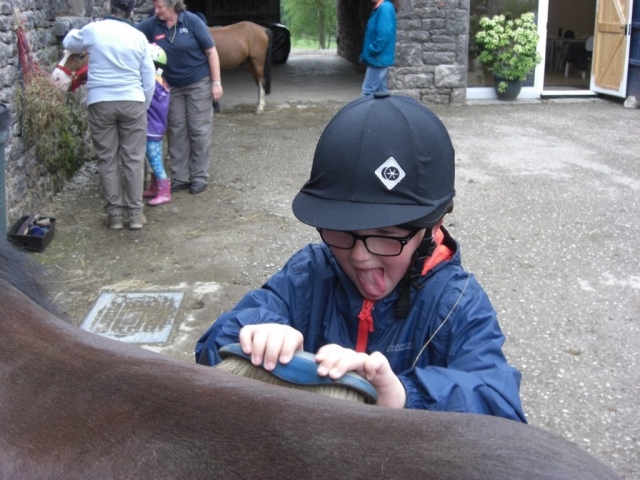 Jaspa is also coach and trustee of the Meirionnydd Special Riding Group, teaches Welsh at Ysgol y Gader Secondary school, and is the Additional Learning Needs Coordinator. A recently started after-school session targets a group of year-8 boys who have additional needs and behavioural issues. To meet the schools’ need for numbers and facts, RDA tools can provide evidence-based results, with a programme of educational activities endorsed by teaching professionals, including maths, science, music, art and design, and physical education. In response, RDA has developed a range of tools and activities that support learning goals which, combined with the RDA Tracker, can help to build a strong relationship between RDA groups and their local schools. The RDA’s UK-wide therapeutic outcomes survey using the RDA Tracker showed that riders achieved statistically significant progress in six areas of potential change: communications skills, confidence and enjoyment, relationship building skills, physical change and horsemanship. Many groups are now using the Tracker as an effective tool to demonstrate to schools the progress riders can make and resources such as Endeavour Awards and Proficiency Tests are used to support goal-setting and recognizing achievement. 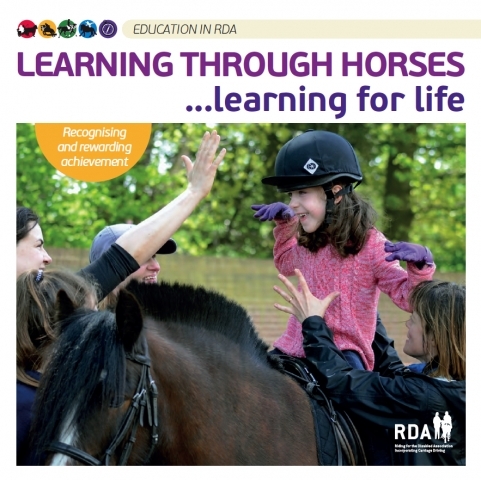 In addition, many core National Curriculum areas can be incorporated in RDA sessions, with simple exercises to develop numeracy and increase vocabulary, alongside learning equestrian skills. When it comes to making the case for RDA, nothing beats the power of seeing RDA in action. However, as Sally Anne (who is also an RDA Coach, County Coach for West Sussex and Chairman of Show jumping for RDA National) points out: “It can be difficult for governors and teachers ‘to see what we see on the ground’.” She adds that sometimes schools may also not allow children to stay within the programme long enough to see a marked improvement. Undoubtedly, even with the support from RDA UK, much of the work promoting horses for learning falls to individual groups. But if they understand themselves the benefits of the activities they deliver, that is a strong starting point for building good working relationships with local schools. And those benefits happen every day, in every RDA group, across the country. Some occur in just a few sessions, while others can take years. She concludes that RDA Groups know the programme works; a proactive approach will engage the wider world, helping governors, teachers and parents to understand the benefits to young people of engaging with ponies and horses, in a flexible educational environment. *181 school age RDA riders in 26 RDA Groups. Getting Words right. On time. On budget. ... GUARANTEED!